Here's a quick post before my regular music post about a website a friend showed me yesterday. 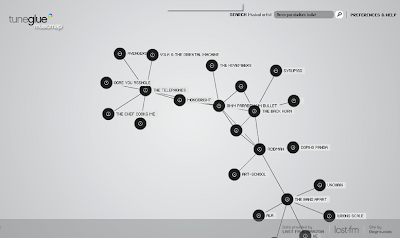 It's called Tune Glue and it shows a graphical representation of connections between musical artists. Just search for one and then you expand them continuously to find bands linked to them. It includes a lot of Japanese bands as well so try this out to discover new bands!